The Week in Instagrams @nanawintour: Coffee and four layers of clothing. They were both essential on Wednesday. *At the Maleficent preview screening with Britney and Hannah. Tara and Ellen were there too so it was a fun time! 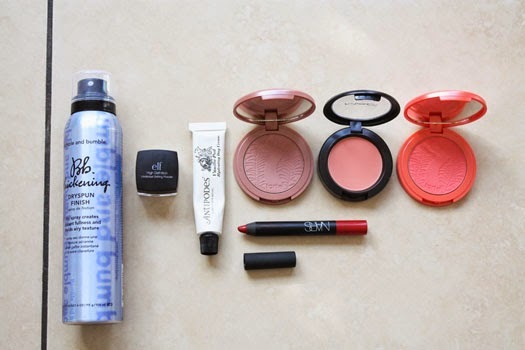 *May's Beauty Favourites. *Mexico deliciousness with Hannah from A Lovely Look. 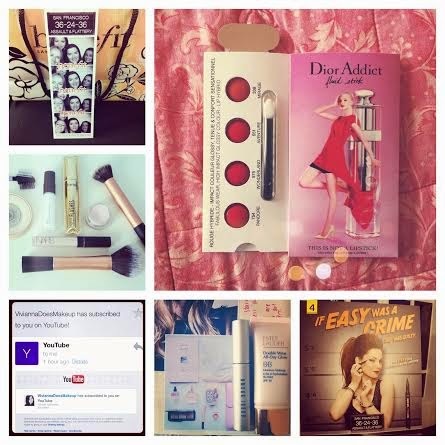 Bloggers chat and beauty enabling happened. Good stuff. *New reads. 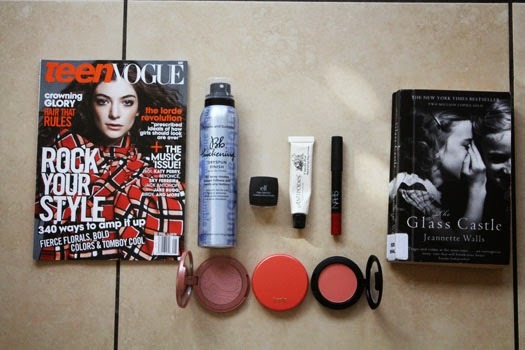 *A glimpse inside Tamira of lipstickwithsomesunshine's bag. Must-Watch of the Week: An exciting announcement from Blogcademy HQ this week revealed they've launched Blogcademy Homeschool. It's a series of videos you can pay to watch and learn some of the essential tools you need to be a successful blogger. They've also released a free blogging basics video which is awesome. I even found my blogging notebook to start taking notes while I watched this. May is nearly gone. Crazy! While I'm quite pleased to see this month go by, I'm not too eager for the arrival of Winter. It's already freezing as I write this. Here's a little glimpse of some of the posts that have been up on Nana Wintour this month. 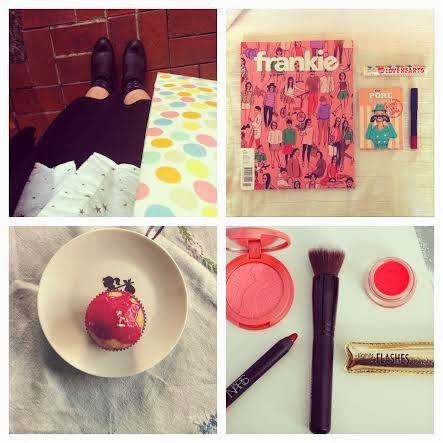 If you're using Bloglovin you can keep up to date with all my posts here or like my Facebook page to stay in the loop. Advice To My 19 Year Old Self: Blogging Edition-Blogging can be a bit of an isolated world sometimes, more so if you have no idea what you're doing. This post was just me getting a little bit nostalgic but mainly offering up some things I wish that I had known when I started out blogging. 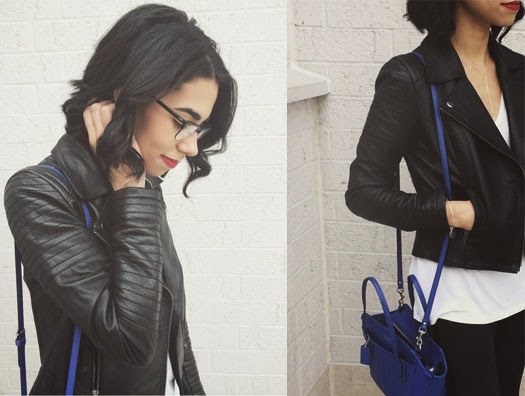 The Handbag Edit: Lipstick With Some Sunshine-I was very excited when Tamira agreed to put together this guest post for my blog this month. I love her blog so it was exciting getting to feature it and also to introduce my readers to LWSS. Her bag has some stunning contents so get your wishlist jotting tools at the ready if you do have a read.. 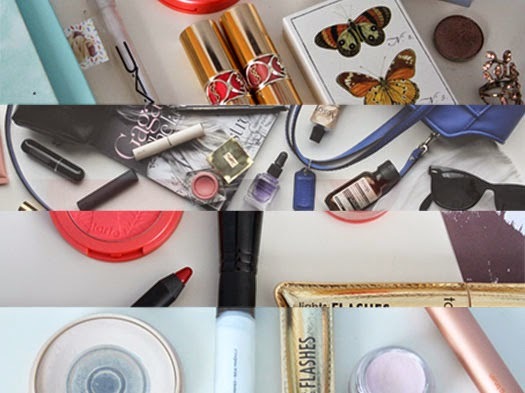 The Sephora Shopping List-Are you off to Sephora soon? You lucky thing!! Here's a little edit of my Sephora picks. Definitely check the Tarte blushers out because they are incredible. Notable mention has to go to this lip polish as well. It's a staple. Five Product Face: The Update-The makeup that is quick to apply and easy to reach for on the days you're just feeling a bit lazy, or hit snooze on your alarm one too many times. If you're having a good skin day and only need a hint of coverage, the Nars concealer I mention will be your best friend. *What posts have you enjoyed on Nana Wintour this month? It's May Favourites time again and this month there's probably few surprises, as many of these products will have appeared in posts or on my Instagram at some point over the last few months. They're all tried and tested, and many of them have become stash staples. There's even a trio of blushers this month which may be a first for this blog..
Elf HD Undereye Setting Powder-Elf is not a brand I've dabbled with a lot but Shannon often raves about the setting powder in her tutorials so I was looking forward to using it. It does not disappoint. This pearlescent powder brightens and sets your concealer in place. I thought this powder may have been a bit gimmicky and would not do an awful lot but it really does make a difference. It's super affordable too. What's not to love? Antipodes Vanilla Pod Day Cream, limited edition size sold as part of a set-This is another product where I really notice a difference if I forget to use it. It's thick, but not overly so. 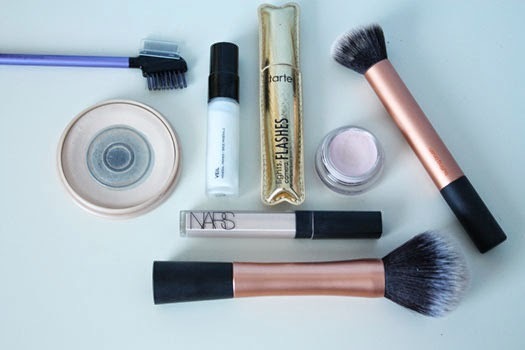 You can still wear it underneath your makeup. It is also incredibly hydrating and luxuriously scented. It'll be a sad day when this mini tube runs out. Tarte Amazonian Clay Blushers, pictured are the shades Exposed and Tipsy-"Well I gotta buy a vowel because oh my god". Pardon the Friends reference. but these blushers are amazing. They're super pigmented and have no detectable shimmer so they won't add any unwanted sheen or emphasise your pores. There must be something magical in that Amazonian clay because these blushers also last for a long time on the cheeks. It's love. I'm inquisitive by nature, so it probably won't come as a surprise that I love what's in my bag posts; more so if they're beauty or fashion centred. A lot of you seem to feel that way as well so today I'm introducing a new feature to Nana Wintour. 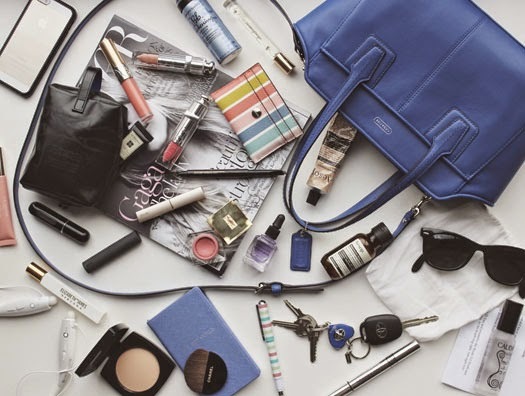 Each month or so you'll find a blogger and the contents of her bag. First up we have Tamira from lipstickwithsomesunshine, whose blog and Instagram I found when Anna featured her in some posts. We both love Anna's blog and beauty. I think Tamira's penchant for lip products is perhaps one of the few that rivals mine. lipstickwithsomesunshine is a treasure trove of great beauty finds and quite possibly some of the most stunning blog photography I've ever seen. Her Instagram is amazing as well so go give that a follow too. Here's what is in Tamira's Coach bag. Get that pen and paper ready to draw up a wishlist (I did). 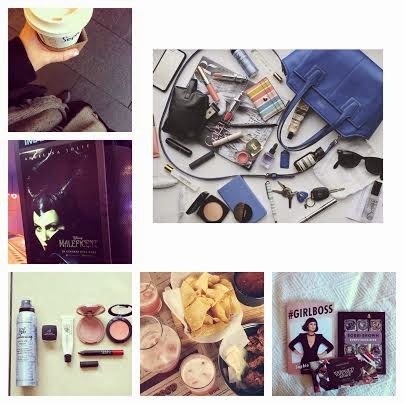 The Week in Instagrams @nanawintour: *I shot some blog photos over the weekend. This is just a 'lil snippet behind the scenes from a post coming up in June. Note the blutack, an essential. *Another GMD happened and this time in the form of a Cult Beauty delivery. This arrived crazy fast and I was super impressed with the service. *A little introductory Blogcademy letter as I am headed off to the Auckland classes in December! I can't wait. *I've found some new loves this week; First up we have the Blueberry Scrub-Gelee from The Body Shop and then there's a lovely little alternative to the Buffing Brush which you'll find on Sephora's shelves. 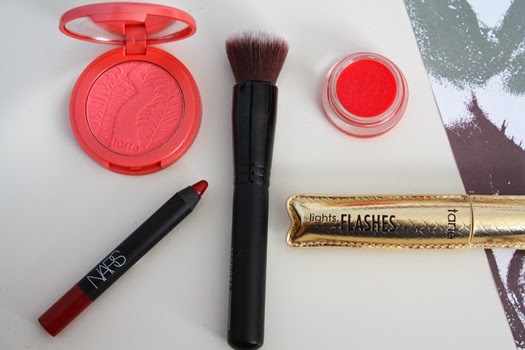 Must-Watch of the Week: Suzie's Evening Essentials video. I'm really loving Suzie's channel at the moment and this video is so beautifully filmed. I'm always interested to see what skincare products other people use at night too so this video went down a treat. Something else that goes down a treat are Estée's vlogs. Again, I am a bit late to the party but these are awesome and Estee's so entertaining. You can't not love her videos. Dupe is not really a phrase I like to throw around. For me, it implies you'll be getting an identical product. The truth of course is they probably won't be identical, but instead you'll find they may be either more accessible price-wise or just generally easier to get a hold of. My love of the buffing brush from Real Techniques has been well documented so when I heard Anna mentioning the Sephora brush as a popular alternative to its Real Techniques counterpart I made note of it and added it to my recent Sephora shopping list..
Real Techniques Buffing Brush, sold in this or this set-The buffing brush, my base bff. 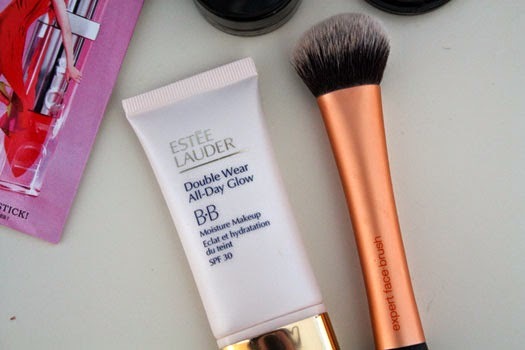 If you want something that'll take all the hassle out of applying foundation then this is it. 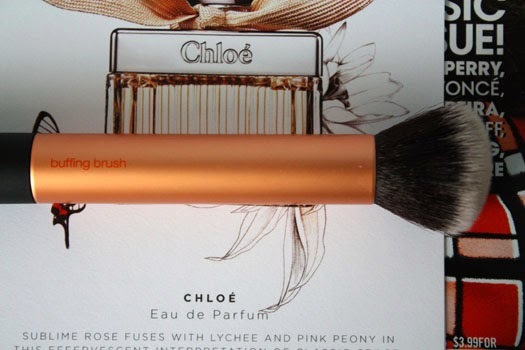 It blends product in seamlessly and leaves you with a flawless finish. It's love, in other words. My one and only gripe with this brush is that it isn't sold separately. I'd say it is worth picking up either of the sets above just for this brush though. The Week in Instagrams @nanawintour: *Photobooth fun at the Benefit launch on Tuesday. It was so lovely to meet Kirsty from Makeup Obsessives too. *Five Product Face: The Update. *I set up my YouTube channel over the weekend, it's not looking overly pristine right now-bear with me. Anyway, an email appeared in my inbox announcing that this lovely lady had followed me and yeah, excitement ensued. There may have even been a Snapchat reaction... *Dior wins the award for cutest+best sample ever. *Monday was a GMD (good mail day). *The new campaign image for Benefit's They're Real Push Up Liner, out next month. It's early days but given I'm an eyeliner noob this is surprisingly less tricky to use. More on that later..
Must Watch of the Week: I feel like I'm a bit too excited for The Fault In Our Stars movie release next month, but it seems like a lot of people are. The folks behind the movie obviously know this too and released the video for All Of The Stars, Ed Sheeran's song for the film. All Of The Stars? More like all of the feels. Beautiful song, go give it a listen. Product of the Week: There isn't a product love this week. Actually that's not entirely true, there was, but given I have only used it once it doesn't feel right to mention it just yet. There'll be more to report next week as some orders have arrived in the post (shh) and I've been trialling out some new products. Stay tuned..
We all have those days where you hit the snooze button on your alarm in favour of more sleep. There are also those days where you just can't be bothered with a full face of makeup. Lateness or laziness aside, times like these call for the tried and tested products. 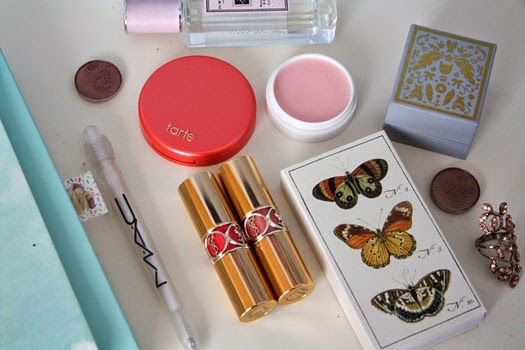 You can pull them quickly from your makeup bag or Muji drawers and get to work. Bring in the five-product face, a streamlined edit of products that'll tackle multiple needs and still leave you looking half decent. You may find yourself gawking at the lack of lip products, I figured there'd be one in my bag so I could apply it out the door. Here's the old favourites I turn to..
Hourglass Veil Mineral Primer-Depending on your skin type and personal preference, primer may be an optional step for you. I just wear it regardless of what base I have on. This primer helps to prolong the wear of your makeup whilst also creating a smooth, soft-focused base for whatever you choose to apply over the top. Nars Radiant Creamy Concealer in Vanilla-If I'm having a good skin day, or just can't be bothered faffing about with makeup then I tend to just apply a concealer instead of foundation or tinted moisturiser. Nars' concealer is lightweight, creamy and easy to blend out. There's a wide variety of shades available so you're bound to find a shade that suits you. You can also apply this concealer under the eyes too. See? There are ways around the five product face routine.. 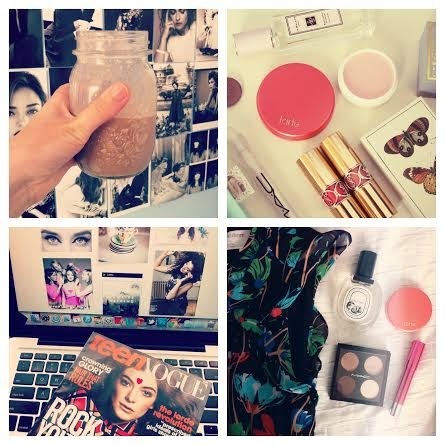 The Week in Instagrams @nanawintour: *I made Lily's Nutella Milkshake recipe on Friday and they are good. So good. *A little letter to my 19 year old self and what I wish I knew when I started blogging. *Lorde's issue of Teen Vogue (May '14) arrived in the mail and I got a bit excited. *What I wore to a 21st on the weekend. Never not loving that Hi There by Karen Walker dress from last season. Maybe it's sentimental, it was my 21st dress after all but I lovelovelove it. 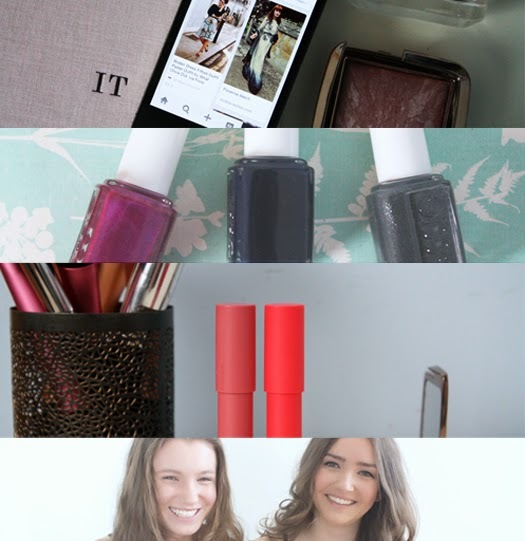 Must Watch of the Week: Estee and Amelia created the Lipstick Addict Tag. Not only did it make me feel...better about my love of lip products, but it also looked a lot of fun. I have added it to my list of videos to film when I eventually get around to hopping on the YouTube bandwagon. Product of the Week: Soap and Glory Sugar Crush Body Scrub, which I ran out of a couple of days ago. This will have been mentioned in a post before, possibly a haul or favourites but I love it. The scrub has a sweet scent, but it's not overpowering or sickly. It's very invigorating to use first thing in the morning and of course it's great for combatting scaly, dry limbs. 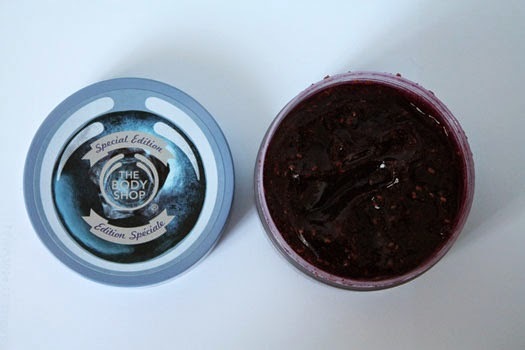 Sadly you can't pick this up in NZ, but I have since replaced it with the new Body Shop Blueberry Scrub/Gelee hybrid which smells divine. More on that another day..
You've just returned from the holiday of a lifetime and you're about to embark on one of many life changing experiences. You've spent the year contributing pieces to the student magazine on topics from fashion to politics, and also penned reviews for your Tumblr blog, but you feel like you want something more. You feel your voice isn't really reaching anybody. You want to be in control of what you're writing and, on one December's day, you will hit publish on a blog post and never look back. You choose to name your blog Nana Wintour, a play on words of Anna Wintour's name and in tribute to your love of fashion. It'll take you a while to work out what you want Nana Wintour to look like and to get a sense of who the Nana Wintour reader is. That's okay, it's all a learning curve. Speaking of learning curves Sophie, one day three years from now you'll look back and think "damn, I wish I'd known about that when I started out blogging. Why did I not think about that? "* Blogging is a crazy, unpredictable beast and it can be quite overwhelming when you don't know what you're doing. Aside from Britney, you don't really know anyone else well who blogs (that will change!). In the meantime, here are some pieces of advice that may help you. Take them and keep them in mind. Perhaps you could share them further down the track as well, because sharing is caring. Over the last few months these three products have made their ways into the stash. They're all totally new to me so being the beauty lover that I am, I was looking forward to putting them through their paces. 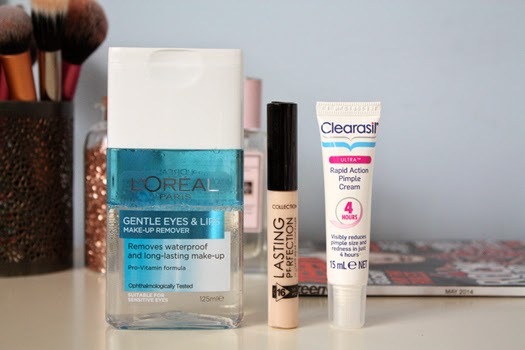 Sit back, pour yourselves a cup of tea (or coffee) and take a trip down newfound lane..
L'Oreal Paris Gentle Eyes & Lips Makeup Remover, purchased on sale at Countdown-My Clarins eye makeup remover was on its way out a couple of weeks back. I do love it and have been through two bottles, but it is wallet-weepingly expensive. This L'Oreal remover has been described as a good alternative. It doesn't seem to have a scent like the Clarins one and it feels like more of a micellar water on the eyes. It is great at breaking down your eye makeup though. One thing that does annoy me is the remover tends to spill everywhere when you dispense it onto a cotton pad. You feel like you are wasting product which is a shame. It delivers though and at a price of $14 (currently), you can't really fault it. The Week in Instagrams @nanawintour: *An outfit of the day on Friday. I would tell you where things are from but everything was bought a while ago, apart from my skirt which you can find here. This was en route to a brunch for Amy's birthday. *A snapshot of Wednesday. Acquiring the new Frankie always makes for a good day. *I made vanilla cupcakes! They were pretty tasty and didn't stick around in the pantry for very long. *The Sephora Shopping List. Must Watch of the Week: I really enjoy watching people's America holiday vlogs. I guess it's because I've not really explored America much and also because I have blogging friends based in the States. Ramblings aside, Amelia was lucky enough to go to Dallas last week and shared this vlog of her adventures. If you like seeing delicious food, beauty and fashion then go on over to watch that. Product of the Week: I've really been shying away from shimmery blushers lately, the girl who loves all things sparkly...who would've thought. Matte or cream blushes have been on high rotation and I am loving Mac's Peaches Blush*. As Lily points out this blush works almost like a bronzer would on paler skin. It adds warmth to the skin and makes it look as if you've spent an afternoon in the sun. Love. Must-Read of the Week: Nutella fans, you need to make Lily's Nutella Milkshakes this weekend. I know I will be and possibly so will my fellow Nutella lover, Hannah. 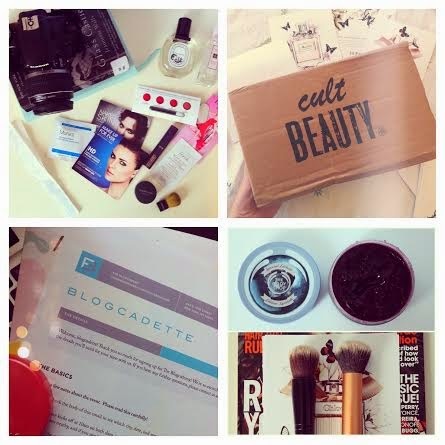 Tamira of Lipstick With Some Sunshine shared this post about blogging this week. Her sentiments about the state of how YouTube has evolved along with blogging echo what myself and some other blogging friends have been discussing recently. As she says, "What goes into a blog? Effort and devotion. Nothing more, nothing less. It's realistically that simple.."
Added to the Wishlist: This may have been featured before but it is on my mind again, Kevyn Aucoin Sculpting Powder. 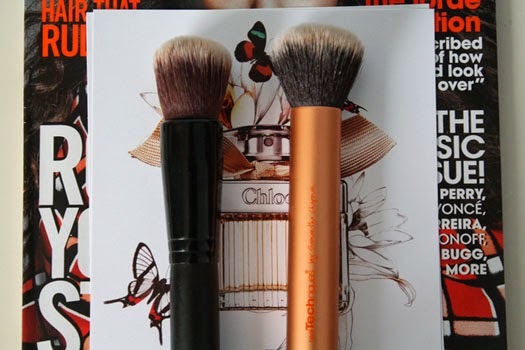 The cheekbone chiseler in one handy compact. 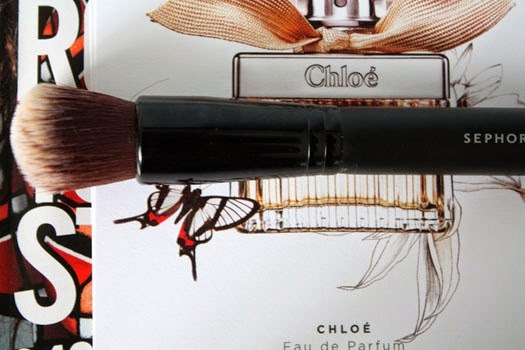 This matte powder is said to create the illusions of shadows without looking overly shimmery or orange so if you're paler and find bronzer a bit of a 'mare to work with then this may be for you. I'm just waiting for Cult Beauty to do their free international shipping offer again which'll hopefully be very soon. *And just like that the holidays are over. I say holiday, more like study break disguised as a holiday. I have to say the sleep ins and not having to commute into town were both very rewarding. Today I am just catching up on some work, emails & having a movie night. Tomorrow is my good friend's 21st party & I'll get to finally surprise her with her present. I won't say what it is in case she sees this but I am very excited and it's been hard keeping quiet! Other than that I will just be chilling and enjoying the last of the break. I'll give you a heads up now, May is going to be quite quiet on Nana Wintour. The reason being I have a lot of assignment+miscellaneous deadlines next month and they all fall very close together. I'll still pop in on Facebook and Instagram to say hello when I can as well but yeah, if you wonder why things go quiet there's your answer. Have an amazing weekend everyone! April has been and gone so it's time to have a look at some of the posts that went up on Nana Wintour this month. If you're using Bloglovin you can follow me here or keep updated via Facebook. Where To Find Nana Wintour-A roundup of all my social media links where you can follow me and my blog happenings online. Essie Fall Fingertips- The new, limited edition collection launched here during April and I was lucky enough to try out the colours. If you pick up one colour from this collection go for After School Boy Blazer-not quite navy, not quite black but stunning on the nails with some silver glitter features. Unapologetic and Elusive-Revlon's new matte balms were released towards the end of March and since then they have been flying off the shelves. They're a purse-friendly twist on some of the more luxe lip crayon offerings with a stunning range of colours. Shop Style Conquer-Get to know Tara & Ellen, the faces of Shop Style Conquer better this month in some little questionnaires they answered for me. There's even cute drawings to look at if that takes your fancy.